Automobile manufacturer Audi has revealed its latest iteration of the A3 - the A3 Cabriolet. The vehicle marks the third soft-top model the company is to release as part of its range expansion plan, adding that it will be coming with four engine variants. Motorists can pick up the car in two petrol and two diesel types, all of which are turbo-charging units with direct injection. Vehicles will initially be four-wheel drive only from launch, with Audi commenting that safety has also been improved. "[It] will be available with either a semi or fully automatic hood specification while crucially for an open car, its advanced body structure features a high proportion of high-strength steel reinforcing measures," commented the company. 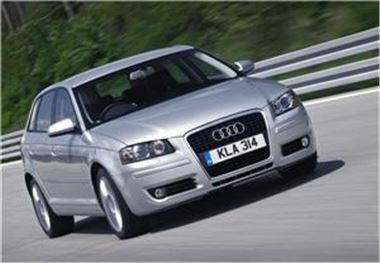 The A3 range has been distributed by Audi since 1996 and comes in both three and five-door models. It is assembled in Brussels, Belgium and Ingolstadt, Germany.